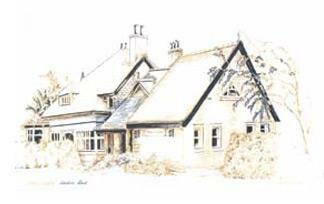 The practice started in 1977 when Dr Lucille Mitchell set up her own practice at Forest Road, Loughton, with approximately 300 patients. Numbers grew very quickly and Dr Ide joined her in July of that same year. By the mid 1980s there were more than 5,000 patients and Dr Anthony O'Neil was recruited to the practice, which rapidly outgrew the tiny 'two up two down' premises. In 1990 the practice moved to Station Road, was computerised and the practice manager gained her own office for the first time, rather than working in the kitchen! Dr Mitchell retired two years later but the practice continued to grow and the Station Road premises were extended twice to accommodate both staff and patients. By the end of the 90s both Dr Roberts and Dr Barnes had joined the practice along with one of our long-serving practice nurses, Leona. In 2002 we were asked by the Health Authority to take over Dr Lawrence's practice following his retirement some two years earlier. This added a further 1500 patients to our list and we moved to purpose-built premises in Pyrles Lane, retaining Station Road as a branch surgery. Dr Kerai joined us in November 2002 and Dr Patel in January 2004.